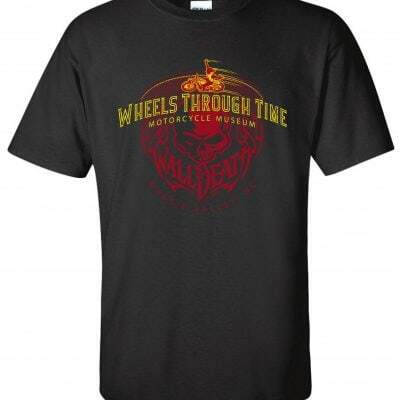 “Dale’s Favorite” WTT T-Shirt- The All American Motorcycle Museum. “Dale’s Favorite” WTT T-Shirt- The All American Motorcycle Museum. Features “Maggie Valley” and mountains on right sleeve. This shirt is Pre-Shrunk 100% Ring-Spun Cotton and is available in Black or White with Water-Based Ink. Get yours today!